Home Make sure your landlord is complying! Make sure your landlord is complying! Landlords who do not comply with tenants who request improvements to the energy efficiency of their homes could face prosecution under new laws. Since the beginning of April this year tenants living in F and G rated homes have been able to request energy efficiency improvements to their properties such as modern windows. PropertyLetByUs did a recent study and found that more than half of UK tenants claim that their rental property isn’t as warm as they’d expect it to be, while 58% say that requests made to improve the energy efficiency of their homes have been turned down by landlords. Gary Warby, Managing Director Premier Windows, warns that a ‘grace-and-favour’ period is now coming to an end and landlords who continue to ignore this will face legal troubles. Gary, said: “Awareness running up to its introduction wasn’t great, and we have spoken to a lot of landlords since, who haven’t been aware of their responsibilities under the regulations. “No matter if they’ve heard about the changes or not, they nonetheless, place a direct responsibility on landlords and it is only a matter of time before we see the first instances of legal trobules. “We would encourage landlords with properties in Buckinghamshire, think that their properties may fall short of the minimum ‘E’ home Energy Performance Certificate (EPC) to get in touch. Data from the EU, up to 10 million British families live in a home with a leaking roof, damp walls or rotting windows. It highlights that damp and mould remains a particular problem in properties with old or single glazed windows. The report suggests that tenants who live in energy inefficient homes can be paying as much as £1,000 more per year than the average annual bill of £1,265. Premier, fit a variety of energy efficient double-glazed and triple-glazed windows and doors. 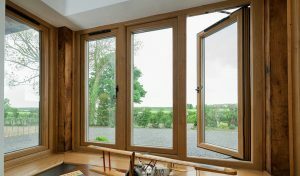 This includes thermally efficient 1.2W/m².K (the measure of heat loss) or Window Energy Rated A+ rated double-glazed windows and ultra-energy efficient triple-glazed windows, which will achieve U-values as low as 0.8W/m².K. Call 01296 422 842 or email enquiries@premwindowsanddoors.co.uk to find out more.